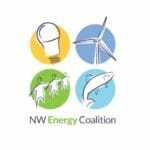 The NW Energy Coalition is seeking to fill two positions on its Board of Directors. The Coalition is a non-profit alliance of more than 100 environmental, consumer, civic, and human service groups; progressive utilities; energy efficiency and renewable energy businesses, and other Northwest organizations. The 15-member Coalition Board includes representatives of our member organizations as well as at-large individuals who are committed to the Coalition’s goals and are not affiliated with a member organization. We currently have two vacancies on the Board. The Coalition has a nominating committee that will make recommendations to the Board and membership. If you have questions or are interested in being considered to join the Coalition’s Board of Directors, email a short statement of interest and your phone number to Kat Plimpton at kat@nwenergy.org by September 18th, 2018. Please read the following information before submitting your application. The Coalition’s diverse and active membership, coupled with unrivaled policy expertise, makes it one of most influential public-interest voices on Northwest energy policy. We envision a future that doesn’t rely on risky fossil fuels, but instead invests in cost-effective energy efficiency and renewable energy, a future where low-income families need not choose between heating and eating. We need your voice; the decisions we make today will have lasting effects on energy production and use throughout our region. Meeting all new energy demand with energy efficiency and new renewable resources. Full and fair accounting for the environmental effects of energy decisions. Protecting and restoring the fish and wildlife of the Columbia River Basin. Informed public involvement in building a clean and affordable energy future. Mission. Determine NWEC’s mission and purpose. Review periodically. Financial management. Provide proper financial oversight. Approve the annual budget. Ensure that proper financial controls are in place. Long-range and strategic planning. Ensure effective organizational planning by leading strategic planning efforts and overseeing staff implementation of the plan’s goals and objectives. Fundraising and constituency development. Help provide adequate resources for the organization to fulfill its mission, and work to strengthen NWEC’s constituency. Support active engagement with and by NWEC’s organizational members. Legal and ethical integrity. Ensure legal and ethical integrity and maintain accountability. Programs. Evaluate effectiveness of programs in meeting the organization’s mission. Contribute ideas and support for these programs. Public relations. Enhance the NW Energy Coalition’s standing by clearly articulating the organization’s mission, accomplishments and goals to the public. Board development. Periodically assess Board skills, needs, and performance. Recruit and orient new Board members. Ensure that all Board members are actively engaged. Personnel. Select the Executive Director. Participate in an annual review of the Executive Director. Ensure that the Executive Director has the personal and professional support that she/he needs to further the NW Energy Coalition’s goals. Assure that adequate personnel policies and procedures are in place. Attend all Board meetings (which occur every other month) as well as semi-annual Clean & Affordable Energy Conferences, except when due to unavoidable conflict and prior notice is provided to Board Chair and Executive Director. Actively participate in at least one Board committee. As needed, volunteer for at least one special project, task force, or participate in a state or provincial caucus. Prepare for, and actively participate in decision-making during Board and committee meetings. Assist with promotion of the semi-annual conference. Serve as a spokesperson for the NW Energy Coalition’s mission and programs. Make a personally significant financial contribution to NWEC. Support NWEC’s financial well-being by investing time and talent in fundraising, such as major donor relationship building, grant prospecting, fundraising events, conference sponsorships or individual fundraising efforts. Attend the Coalition’s semi-annual conference and membership meetings. There is also an in-person board meeting in conjunction with the semi-annual conference and membership meeting. These in-person board meetings happen either the day before or the day after the conference. ** The Coalition recognizes that travel expenses and registration fees to conferences and member meetings may be a barrier for some Board members, and will provide scholarships and travel stipends when possible.